The Torah is a long scroll containing the entire text of the five books of Moses. Each one has been hand-written by a scribe in the original Hebrew. Moses wrote the first Torah scroll in history, just before his passing. From that original document, identical copies still continue to be hand-written by scribes today. The scrolls within God’s Ancient Library are typically between 200-400 years old, and range from approximately 85-115 feet in length. Scribes from the Middle East, Europe, Eastern Europe, North Africa, and India usually spent about one year creating each scroll by hand. Each one in the collection has gone through a rigorous, detailed analysis by specialists establishing its provenance, authenticity, and unique attributes. 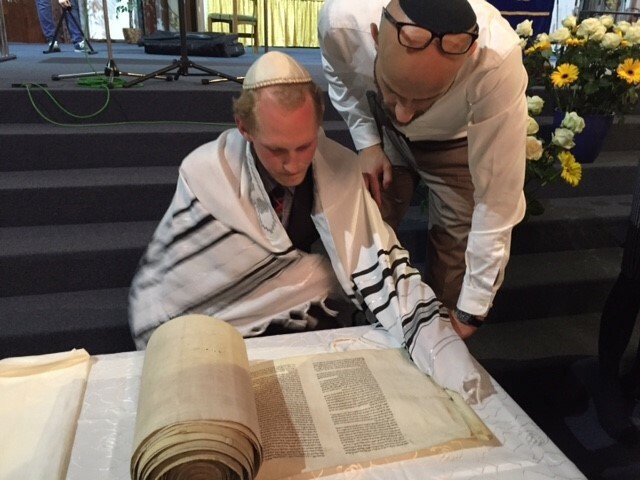 In sharing these scrolls with the world, we aim to help in bridging the gap between Judaism and Christianity, finding common ground in our shared history. To be suitable for religious purposes, each Torah must be carefully prepared using only kosher materials. From the animal skins, to the writing implements and ink, every element used in the process must be ritually cleaned. Even after decades of ceremonial use, the Torah is only considered kosher if it is free from all imperfections. During services in a synagogue, if anyone notices an imperfection, such as faded ink or cracked letters, the synagogue has just 30 days to repair it. Torahs that no longer kosher are removed from active use and placed in a storage area called a genizah. The Torah scrolls in God’s Ancient Library are no longer kosher—and therefore, are not suitable for religious purposes in the synagogue. However, these scrolls find new life in helping to educate and inspire students, professors and other people of faith. God's Ancient Library has gifted 40 Torah scrolls to date, and for the majority of professors and students at these institutions, it’s the first scroll most have ever seen. Take a look at some sample Torah scrolls from God’s Ancient Library.